If Allergic to One Food, Do You Have to Avoid Related Foods? A food allergy occurs when the immune system overreacts to a food. The most common type of food allergy results from the immune system making a type of antibody called IgE to proteins in a particular food (IgE-mediated food allergy). When exposure to the food occurs, symptoms start quickly and can include any or several of the following: skin itching, hives, swelling of the skin, nausea, vomiting, diarrhea, breathing difficulty (wheezing, repeated throat clearing, cough, throat tightness), or anaphylaxis. Anaphylaxis is a severe allergic reaction that is rapid in onset and progressive, with symptoms involving more than one organ system from the above list as well as dizziness or loss of consciousness (from a drop in blood pressure) and death. Anaphylaxis can occur with any IgE-mediated food allergy. The most common food allergens are milk, egg, wheat, soy, peanut, tree nuts, fish and shellfish. Cross-reactivity occurs when the proteins in one substance are similar to the proteins in another and the immune system sees them as the same. In the case of food allergies, cross-reactivity can occur between one food and another but it is also seen between pollen and foods or latex and foods. Because of cross-reactivity, testing and diagnosis of food allergies can be challenging. Since the immune system sees similar proteins in the cross-reactive substances as the same, a positive skin test or blood test (ImmunoCAP) can result to a food when the individual is allergic to a certain substance that is cross-reactive to that food. However, the individual may or may not have any allergic symptoms from eating that food. It is not a certainty that the individual will have allergic symptoms from a food that is cross-reactive with another food or pollen to which the individual is allergic even though they have a positive skin test or ImmunoCAP test to that food. This point cannot be emphasized enough because many people end up avoiding foods because of a positive test and in some cases they may have been eating that food previously without any problems. There is a high degree of cross-reactivity between cow's milk and the milk from other mammals such as goat and sheep. In studies, the risk of allergy (resulting in symptoms) to goat's milk or sheep's milk in a person with cow’s milk allergy is about 90%. The risk is much lower, about 5%, for allergy to mare's milk (or donkey's milk) which is less cross-reactive with cow's milk. Cross-reactivity is uncommon between foods in the same animal group. For example, most people with an allergy to cow's milk can eat beef and most people with an allergy to egg can eat chicken without any symptoms to the respective meats. Peanuts and soybean are in the legume family which includes beans and lentils. A common question that comes up for people with an allergy to peanut is whether they can eat soy-based foods or other beans. More than 50% of peanut-allergic individuals will have a positive skin test or blood allergy test to another legume (soy, other beans) but it turns out that 95% of them can tolerate and eat the cross-reactive legumes. Many years ago, it was common to recommend avoidance of legumes, including soy, because of a peanut allergy but this practice has been proven unnecessary. As noted above, peanuts are legumes and are not related to tree nuts (almonds, walnuts, cashews, etc.). However, about 35% of peanut-allergic toddlers in the U.S. have or will develop a tree nut allergy. Because it is fairly common to be “co-allergic” to tree nuts if a child is peanut allergic, it is recommended that young children avoid tree nuts if they are peanut-allergic. Other reasons for this recommendation are related to safety concerns. Young children may have a hard time distinguishing a tree nut from a peanut and there is the potential of cross-contamination of tree nut products with peanut. Whether the common occurrence of allergy to both peanut and tree nuts is due to allergen cross-reactivity has been investigated in at least one study which revealed that there MAY be some cross-reactive parts of the allergic proteins in common but true cross-reactivity is unknown. However, the larger issue is that allergy to tree nuts is common in peanut allergic individuals. Tree nut allergy should be investigated in peanut-allergic individuals and recommendations made on an individual basis. The same hold for peanut allergy and allergy to seeds such as sesame seed. There are a few individuals who are allergic to both and this is likely due to the occurrence of more than one food allergy in highly allergic individuals rather than cross-reactivity. With respect to tree nuts, there is high degree of cross-reactivity between cashew and pistachio and between walnut and pecan. Most people who are allergic to one tree nut are not allergic to all tree nuts. There is a lot of cross-reactivity among different species of fish including fresh and salt water fish. The risk of allergy to other fish when an individual is allergic to one fish is about 50%. Shellfish, like fish, peanuts, and tree nuts are commonly associated with severe, potentially life-threatening reactions. There is a high degree of cross-reactivity among the crustacean shellfish (shrimp, lobster, crab, crawfish) and the risk of allergy to another crustacean shellfish is 75%. The risk may be lower for cross-reactivity between crustacean shellfish and non-crustacean shellfish (mollusks) such as clam, oyster, scallop, mussels. Of note, there is cross-reactivity between chitins (a component of exoskeleton of shellfish and insects) in dust mites and crustacean shellfish. This can result in “false positive” testing for shellfish without any clinical symptoms. Some individuals with pollen allergies (allergic rhinitis or hay fever) can develop symptoms around and in the mouth and throat immediately after eating raw fresh fruits, vegetables, nuts or seeds which contain proteins cross-reactive to the pollens. This is known as oral allergy syndrome or pollen-food syndrome. For example, people with birch pollen allergy may experience symptoms after eating raw apples, peaches, pitted fruits, carrot and hazelnut among others. Likewise, Ragweed allergic individuals experience symptoms with melons among other foods. Symptoms can include itching or tingling of the lips, tongue, and roof of the mouth or throat. In addition there may be hives around the mouth area where the food came into contact with the skin or swelling of the lips, tongue, and throat tightness. In less than 3%, symptoms may become systemic (beyond the mouth or throat) or result in anaphylaxis. Cooked forms of the foods are usually tolerated because the food proteins which are pollen cross-reactive are fragile and are broken down when subjected to heat or stomach acids (so, for example, raw apples can cause symptoms but an apple pie can be eaten without any symptoms). Not all people with pollen allergies have oral allergy syndrome (OAS), but many do. And, for those who do have oral allergy syndrome, they may experience symptoms with some but not all foods cross-reactive to a particular pollen to which they are allergic. Latex is a natural product which is derived from the milky substance extracted from a rubber tree. Common natural rubber latex products include latex gloves and balloons. Latex can cause several types of allergic or non-allergic (irritant) reactions. The most concerning type is an IgE-mediated allergic reaction to latex which results in immediate reactions such as those described above with IgE-mediated food allergies (hives, swelling, wheezing, and anaphylaxis). About 30 to 50% of people with IgE-mediated allergies to latex can experience symptoms with any or several fruits cross-reactive to latex including most commonly banana, avocado, kiwi, and chestnut. However, the overall prevalence of IgE-mediated reactions to latex is rare and most reported reactions are due to contact sensitivity. Individual reactions vary when it comes to food allergies and cross-reactivity. And, because of the additional challenges in diagnostic testing posed by allergen cross-reactivity, it is important to talk with your allergist-immunologist (allergist) about your symptoms with foods. Your allergist has expertise in the area of allergen cross-reactivity and can help in making an accurate diagnosis and providing guidance as to whether a cross-reactive food needs to be eliminated or not. Dr. Vaishali Mankad is in private practice at Allergy Partners of Raleigh, a hub of Allergy Partners, PA which is the nation’s largest single-specialty practice in Allergy, Asthma, and Immunology. She specializes in the care of children and adults with food allergies and other allergic conditions, asthma, eczema and immunologic conditions. Dr. Mankad hails from the windy city of Chicago. She moved to Durham, North Carolina in 1998 where she completed a three-year pediatrics residency at Duke University Medical Center. She stayed at Duke for her fellowship training in Allergy-Immunology from 2003 until 2005 and subsequently served on the faculty in the division of Pediatric Allergy and Immunology at Duke until 2007. She then continued her career in private practice. 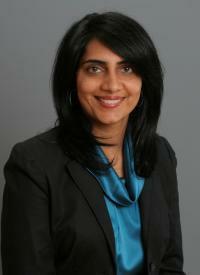 Dr. Mankad lives with her husband and two children in Chapel Hill, North Carolina. No experience has taught her more about the day to day and long term challenges faced by individuals and families dealing with food allergies than her own daughter who has IgE-mediated food allergies to egg, peanut, tree nuts, white potato and food-protein enterocolitis to cow’s milk. Tina - did he ever have a reaction to tree nuts? Or was that diagnosed on testing alone? Sorry about the school situation - is the school supposed to be nut free? In the 1990s I tested big positives to tree nuts and fish. Fast forward to 3 years ago. The same allergist skin tested me for tree nut and fish, and they all came back completely negative. My allergist questioned the results, and had me come back a few weeks later and had the tree nuts and fish skin tested again, as well as did blood work. This second time, my tree nuts skin test and the blood work all came back negative and I can eat them fine. However, my fish skin test and blood work all came back as big positives. My 6 year old DD is very allergic to flax seeds. Three year ago her flax seed skin test came back a big positive. It was skin tested again 1 year ago and it came back negative. This didn't sit right with me. Her allergist did a third skin test with a fresh extract and it came up as a big positive as well as blood work. My son has been skin pricked tested 4 times and the last time 3 month ago his tree nut came back negative. All other three skin prick test came back 6+ peanuts & 3+ tree nuts I was suprised when tree nuts came back negative. We still keep him away from all tree nut just to be on the safe side but what are the chances of him outgrowing just the tree nut since he was 3+ before? He is will be 13 in May and is doing great being his own advocate of his allergy and we are very proud of him. We have 504 plan & IHP in place at school and they now about his test but we still avoid tree nuts. But it's still stressful just last week a kid brought in a nutterbutter for snack and as soon as my son smelled it he ran into the hallway, he is airborne to peanuts, got the teachers attention and went to the nurses office. I was called and told what happened, I talked to my son he was a little scared but new he got out of the room in time. The nurse was going to send him back to the room and I told her she couldn't because the room smelled like peanut butter he needed to stay there and someone needed to bring him his backpack. I told her maybe it's time for another letter to go home she said one was already sent home I said that was at the beginning of school and maybe this one should say may kill a child. His friend did apologize and said he would tell his mom not to pack that or anything containing peanuts again. It's just stressful being parent with allergy child because we can't put them in bubble but we do what we can to make them safe. Sorry I got off topic. What is he allergic to? What does he need to avoid? What reactions do you see to those foods? If you can't find where to post (I edited my last comment to add the link), let me know and I can help with that part. Hi Anjie - welcome to KFA and I'm glad you posted! It sounds like you are really struggling with your son's feeding issues and I'm sure we can help. I'm going to encourage you to post over on our forums where more people are likely to see and give you feedback. Include what his know allergies and any other medical issues. The more background you can give us, the better we will be able to help w/ ideas, resources, etc. Eskimomama, another thought I had was regarding the geographic area in which you live. Chances are you live in an area where there is little or no (for example) birch pollen but the store bought varieties come from regions where there is. Sounds like you should stick to local fruits for sure. Just a thought. Eskimomama4, having any type of food or environmental reaction is inconvenient and frustrating to say the least. I hope it gives you some comfort to know it's actually very common with OAS to react to the skin of fruit but not the peeled fruit inside. Regarding peach, it's a different little beast. According to FARRP because the peach allergen is "heat-stable and highly concentrated under the fruit skin" they recommend avoidance all together. Meaning, sadly, you can't peel it and enjoy like the others. Katie, welcome to KFA. So glad the blog could be helpful to you. It's always nice to see things in writing that confirm our suspicions or solve mysteries! Wow and THANKYOU I'm not mad or sooking. I starred getting itchy after eating fresh fruit and veg 7 years ago when pregnant, but midwife shurged it off as one of those things. And still have issues now. Had linked it to my reaction to pollens but that's all. So nice to see a reconised reason to what I feel. Interesting possibility Eskimomama. My daughter has OAS and reacts differently to different varieties of the same fruit. Sometimes she can eat more, sometimes very little before she feels the reaction. Since it's a cross reactivity to the pollens, it seems to correlate with when the pollen is high or her overall allergy load is high (d/t environmental issues in general). But she reacts to conventional and organic. She seems to be able to eat dried fruits but we haven't really tried frozen. Many frozen fruits are blanched to stop the enzyme process and that might be enough to denature the offending proteins. Canned fruits are always fine, but those have been "cooked" by the canning process. OAS is tricky and annoying for sure! camenae - that's interesting about the delayed reactions. Definitely not the norm, but I'm glad the allergist agrees that it IS a reaction. My kids both had delayed reactions to things (not OAS) when they were little. It's frustrating! I am 43, and have some form of Oral Allergy Syndrome. I get small itchy blisters on my lips, roof of mouth, and down my throat, if I eat fresh fruit that you can eat the skin. This started about 8-9 years ago. I can't eat fresh apples, grapes, strawberries, peaches, etc. If you have to peel it, I can eat it. But I'm not allergic to the fruit itself. I can eat most frozen fruits, but not peaches. I believe its the pesticides used on the fruit. I've tried organic, and I get the same reaction. SOMETHING is being used on the fruit that is causing this, not the fruit itself. I can eat apples grown in a friends yard, or strawberries from my own pot. Maybe many of todays allergies aren't to the foods themselves, but all of the unnatural chemicals used on them. Just a thought. Hi Kara! That sounds like Oral Allergy Syndrome to me. My dd has OAS. I would consult with your allergist to see if cooked apples are okay or if you should avoid. My daughter is allergic to cow's milk, egg, peanut and tree nut. She is 5 years old and has eaten apples (raw or cooked) without any issue for years. Last spring/summer she started complaining of itchy mouth after eating apples (in raw form). She ate them all winter (raw or cooked) with no issue. This spring started with more intense complaints of itchy mouth and itchy skin (no visible hives) after eating raw apples. Her IgE blood work was positive for apples (lower value, yet positive). Additionally, she has developed seasonal allergies (just diagnosed this year per IgE). Could this mean OAS or only apple allergy in conjunction with pollen allergies? If she seems okay with cooked apples (juice, apple sauce, etc) is that safe? Thank you for helping. Very interesting information. It makes a lot of sense. My kids both have pollen allergies and both have had reactions/sensitivities to some fruits and pine nuts. Interested to see if anyone has information on two foods not related eg. peanuts and cotton seed oil. From what I have been reading cotton seed oil has the same weight and molecular structure as peanuts.